Innovation and technology are today’s two keys to corporate survival. Innovation is the lifeblood of any company and the old mantra of “innovate or die” is just as relevant today as it ever was. Add to that the rapid pace of technological change and we have the potential for a perfect storm of irrelevance! Wrongly these two items are frequently treated as if they’re two separate issues, they’re not. They should be considered under the umbrella of futures thinking. If Directors and senior executives don’t take a futures based approach to their company’s strategic thinking then they have a serious problem. What are Boards good at? 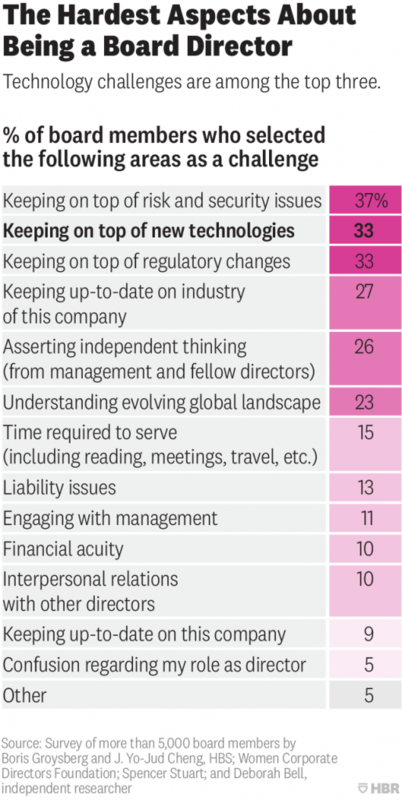 With the constant media attention on the rate of change in business you’d think that innovation and technology would be at the top of Director and Execs concerns. However several studies in recent years have shown that this not the case. For instance, what Boards consider themselves good at (figure 1) are the traditional and/or risk mitigating activities like compliance, financial planning and risk management. The vast majority of the activities in figure 1 below are at best in the short term horizon. As for futures thinking (as against strategic thinking) it wasn’t even asked by the researchers! Regarding innovation the Lean Methods Group says that “we haven’t found that many companies are looking to create more innovative cultures. At least not the big companies (Global 1000) anyway, though that changes some as companies get smaller. This finding was a big surprise when we did our first studies in 2009 and little has changed since.” And this is despite the widely acknowledged impact of innovation on a company’s future prospects. If we then look at the biggest obstacles to innovation from a “corporate leaders” point of view in figure 2 we find that they’re CEO or Board responsibilities. 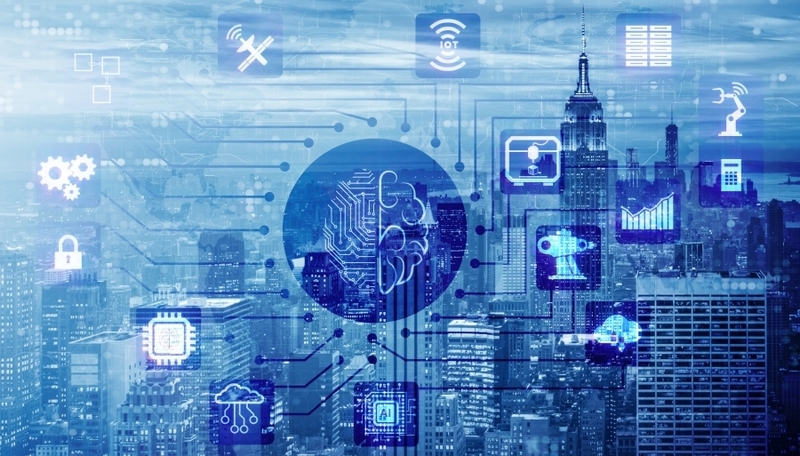 The author of the article says “Interestingly, survey respondents said that their least significant was the “lack of CEO support”; just 10% of survey respondents said that it was constraining innovation at their company. The CEO, it turns out, doesn’t wield a sledgehammer that can demolish any obstacle that blocks a team of smart employees with a good idea.” I find this extraordinary! Eight of the top 10 obstacles are clearly a CEO’s responsibilities to solve. The other two, “Lack of budget” and “lack of strategy or vision” as well as “Cultural issues” are clearly combined Board and CEO issues. This again shows the lack of focus on the importance of innovation. When we turn to technology keeping up with new technologies is seen as the number two hardest aspect of being a Director (Figure 3). This aligns with my experience of asking both Directors and Senior Executives of large to medium companies how they keep up with technological impact on their businesses. The most frequent answer I get is……………. they don’t! It’s simply impossible for them to perform their daily tasks and do the research required to keep themselves up to date. Let’s not forget that Directors rating themselves good at “staying current on industry” in figure 1 above isn’t the same thing! Remember, the most radical disruptions most often come from outside the incumbents industry, think Kodak and Borders. So keeping up with not only megatrends, but industry trends and weak signals of change across industries is a major challenge. In fairness though the above problems stem from two ever accelerating issues. Workload – Directors are under ever increasing compliance workloads, making Directorships increasingly onerous. Keeping up with all of their duties is challenging at best. Indeed in most countries of the world, 3 to 4 is the maximum number of board appointments for an individual. The rate of technological change – As we know change will never be slower than it is today. In the AgriFood Tech space in particular we’re seeing an increasing number of new technologies from industries such medicine, genetics and biotechnology being applied. These two issues are combining to create a perfect storm for companies. More compliance is leading to more risk aversion but in an ever accelerating and uncertain world where risk taking is required for survival! How can Boards and Executives keep up? As an Advisory Board member and futurist I have a vested interest in the answer I propose. Boards need to get access to knowledge and advice that’s critical to their performance, but outside of their ability to gather for themselves. Of necessity the advice also needs to be independent from management. Similarly Executives need to be able to keep up to date in real time, not from expensive yearly or 6 monthly consultant surveys and reports prepared by large consultancies. Agility is key here and bringing in expert advisers is a viable solution to enable Boards and Execs to optimise their thinking so they can react quickly to changes. This to me is the most efficient and cost effective way of addressing the innovation and technology problems plaguing Boards and Execs. I’ll leave you with a quote from Winston Churchill which I think captures his and our current dilemma. Just to release chicken clean meat product.